Dr. Larry Hirsch is the Vice President of Global Medical Affairs, Diabetes Care Business at Becton Dickinson. He is a graduate of the University of Rochester and Harvard Medical School, and board-certified in Internal Medicine and Endocrinology Metabolism. Before joining BD, he was the Assistant Professor of Medicine at Northwestern University and spent over 17 years at Merck in various roles in clinical drug development. He has authored numerous peer-reviewed publications and is also a regular contributor to Diabetes In Control. Neal Howard: Hello and welcome to Health Professional Radio. I’m your host Neal Howard, thank you for joining us here today. Now in honor of Diabetes Awareness Month, we’re joined today by Dr. Larry Hirsch, MD, FACP, Worldwide Vice President, Medical Affairs, BD, Diabetes Care to share his personal story as a Type 1 diabetic and how the condition motivated him to help some other folks. He’s going to offer us some expert advice and also talk about his thoughts on some of the most important advancements in Diabetes management recently. Welcome to the program Dr. Hirsch, thank you for joining us. Dr. Larry Hirsch: Thank you very much. Neal: A bit of background about yourself. Dr Hirsch: Well I have had Type 1 Diabetes, it’ll be 61 years in about one week. My mom told me that it developed a couple of days after Halloween when I was about four and a half years old. And I have grown up with Diabetes basically almost my entire life. I don’t remember life without it and it certainly has affected how I grew up and my career decisions and professional work and so on. Neal: Now you mentioned that you were diagnosed at a very early age. Is that what separates Type 1 Diabetes from say Type 2 Diabetes? Dr Hirsch: That’s a good question and that used to be the case, almost a hundred percent. When I trained in medical school and internal medicine and so forth, it was extremely unusual for anybody with Diabetes that was not type one at a young age. Unfortunately today, with the global pandemic of obesity, what we tend to call the ‘diabesity epidemic,’ we are seeing more and more classic type two or adult onset type Diabetes in young people and it’s difficult to treat. That said, for the most part Type 1 Diabetes classically has its onset in children, adolescents and young adults. But I want to emphasize one thing for your audience and that is that Type 1 Diabetes can begin at virtually any age and I’ll give you a very specific example. My mother who was very fit and very healthy developed classic Type 1 Diabetes when she was 51, about 30 years after I did. Neal: So it’s not a genetic thing? It can just strike it anytime? Dr Hirsch: It’s a little more complicated than that. Genetics is a strong component in somebody’s susceptibility in their risk of developing Type 1 Diabetes but it is clearly not the only thing. The environment has a role that we honestly don’t fully understand. We know that children of parents with Type 1 are at increased risk although the risk is not the same if the mother or the father has Type 1 Diabetes. If you’re the brother or sister of a child or a young person with Type 1 Diabetes, your risk is increased but it’s nowhere near a hundred percent and so on. Something else that people may not realize is that there is a very strong genetic component as well for Type 2 Diabetes. So genetics is important but it is not the only determinant of whether somebody develops Type 1 Diabetes. Neal: November is Diabetes Awareness Month. Talk about the awareness, you mentioned a pandemic of obesity. What about the global awareness that needs to be done as far as Type 1 Diabetes is concerned, not only in the month of November but each and every month? Dr Hirsch: Right. Well again I call it many people call it the ‘diabesity pandemic.’ It’s the combination of widespread obesity. Obesity is a very strong risk factor for the development of Type 2 Diabetes and I will say one other thing Neal, we used to describe patients with Type 1 Diabetes as thin or normal weight but the the studies are very clear that the same degree of overweight and obesity is seen today in patients with Type 1 Diabetes as is seen in the general population. So obesity is epidemic and it is a clear risk factor for Type 2, not so much for Type 1 Diabetes. In terms of awareness, you raised the point that November is Diabetes Awareness Month and World Diabetes Day I believe is on the 14th this year. This is important because just the sheer numbers, it’s estimated today that there are well over 400 million persons with Diabetes around the world. Now the vast majority of this is what we call the adult or Type 2 Diabetes, about 5% give or take is Type 1 Diabetes so there are hundreds of millions of people living with Diabetes, at least a third don’t know that they have it under Type 2 patients, these are Type 2s. And there are many, many more who have a condition we call pre-Diabetes which means there’s somewhere between normal and diabetic, there is a continuum. In the United States alone, the number our that there are approximately 30-32 million people of all ages with Diabetes and there’s another 80 to 90 million who have what we call pre-Diabetes. So the numbers are huge and that alone is a reason to be aware of it. I do think public awareness has increased over the last several years because of the rise in the prevalence, that sheer number of people but there unfortunately are many people still who aren’t aware of this or of whether they might be at risk for developing it. So news about this, I think is very important. Neal: Let’s talk about some of the ways that a person can be screened for Diabetes. Is the testing invasive? This simple finger prick or how does that work? Dr Hirsch: Yeah. The usual screening or testing for Diabetes involves pretty much a basic blood test. We tend not to want to rely on finger sticks for making very important diagnosis such as Diabetes so it’s pretty much a classic blood test where the doctor or healthcare professional will take a sample of blood and do some tests and there are two ways to look at this basically. There is a classic level of glucose of sugar in the blood and that’s generally done when somebody is fasting before they’ve eaten something but it can also be done at other times of the day and there are certain criteria which I won’t get into, certain levels that we use to assess whether somebody is normal and high risk, pre-Diabetes or has overt Diabetes. And there’s another test which we classically associate with monitoring the degree of control of Diabetes this is called the Hemoglobin A1C or A1C for short a test and this gives an integrated measure of the level of glucose in the blood over the past two to three months and this test has been used in the last couple of years as another way to make a diagnosis of Diabetes, so it’s basically a classic blood test. Neal: So would you say that that is one of the more I guess useful advancements in recent years as far as diabetic management, what you just described? Dr Hirsch: Well it is, yes. Certainly having standardized criteria to make a diagnosis is always important and I would mention that this has evolved over time. The actual numbers have evolved as incidents and the prevalence have gone up. And for your audience, incidence is a rate so it’s how many cases of something happened in a month or a year. Prevalence is simply a snapshot in time, how many people have the condition at that moment in time and so the criteria have evolved as the condition has become more common. But I’ll tell you what in my view some of the most important advances have been in the last few years. 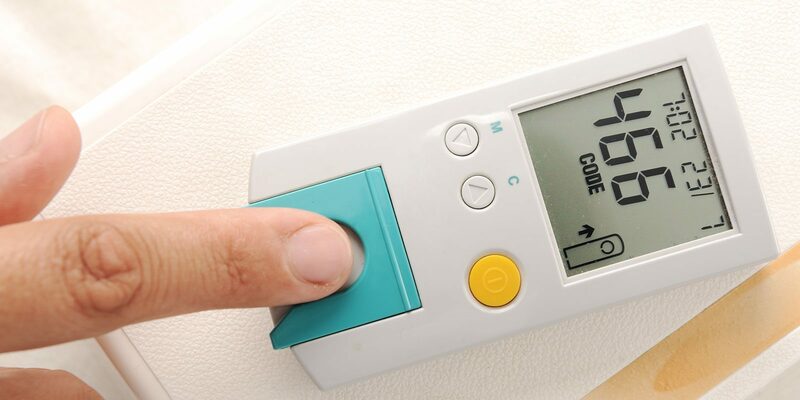 More than five years ago, I would argue that the most important advance in the management of Diabetes particularly Type 1 Diabetes since the discovery of insulin, 1922 was what we call self blood glucose monitoring. This is using finger pricks to measure on a strip, on a meter in just a couple of seconds the level of glucose in the blood. Up until the 1980s, this technology was not available so patients like myself were literally flying in the dark in terms of knowing what their glucose levels were from hour to hour, day to day, week to week. We also did not have the A1C test that I mentioned earlier so we had no idea what our average glucose levels were over weeks or months so these advances came about in the mid-1980s and they really did revolutionize the ability to manage and control Diabetes. More recently, there’s an advance on blood glucose monitoring called CGM or continuous glucose monitoring and this allows somebody to put a small, very, very fine sensor under the skin, wear it for one to two weeks at a time and it gives a continuous reading of the glucose levels literally every five minutes or so and you can look at a display, a reader to look at how your glucose levels are and most importantly whether they are changing. This can tell the direction of your blood glucose levels using these devices, this has really in a major major advance for patients with Diabetes in the last couple of years. Neal: Well I thank you for joining us today, some absolutely wonderful information. A great interview, it’s been a pleasure and I’m hoping that we can talk again in the future and discuss more about Type 1 Diabetes and how your research is going. Thank you so much Dr. Hirsch. Dr Hirsch: Thank you Neal.